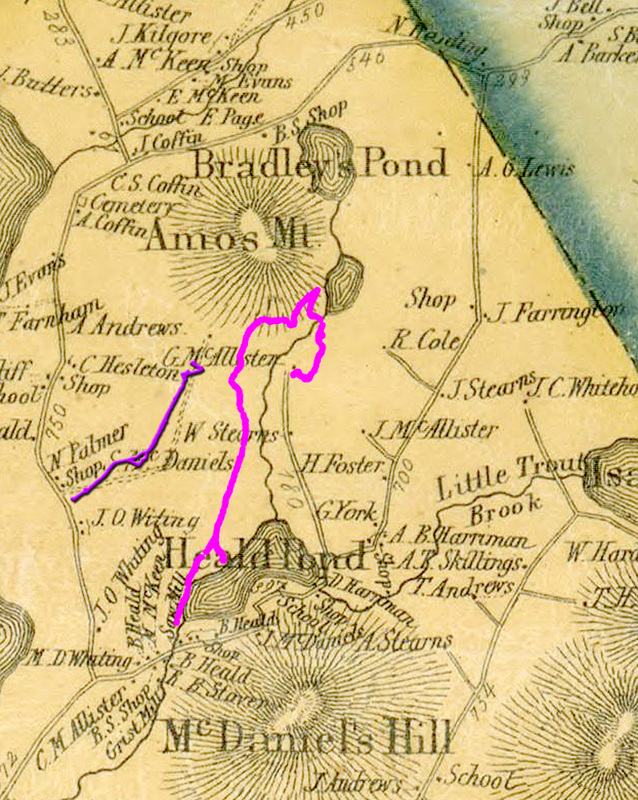 Roughly superimposed Heald and Bradley Pond trails on 1858 map. 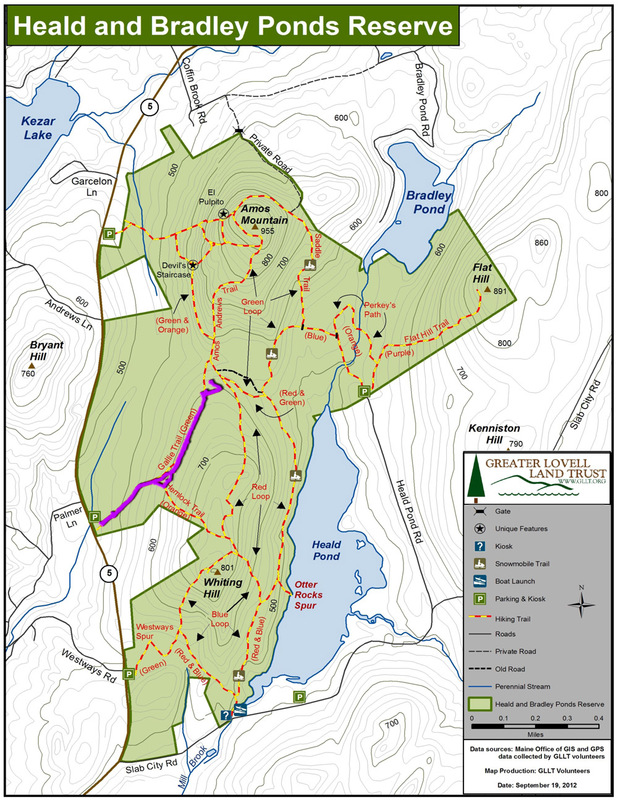 Trail on left is the Gallie trail. Location suggests that cellar hole off of trail belongs to McDaniels.